For me, Mahe’s west coast is a little bit special. 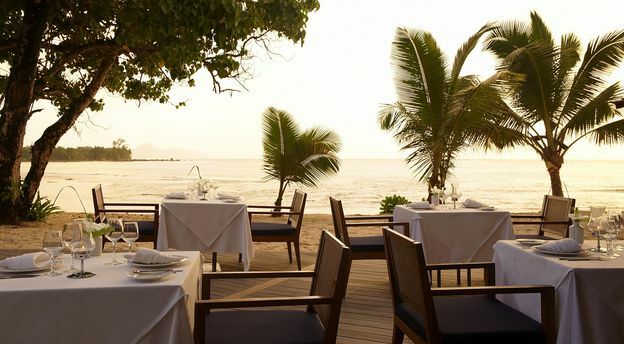 Away from the north end and the popular Beau Vallon area , Barbarons is a haven of tranquillity, just the fellow patrons of the Avani for company. 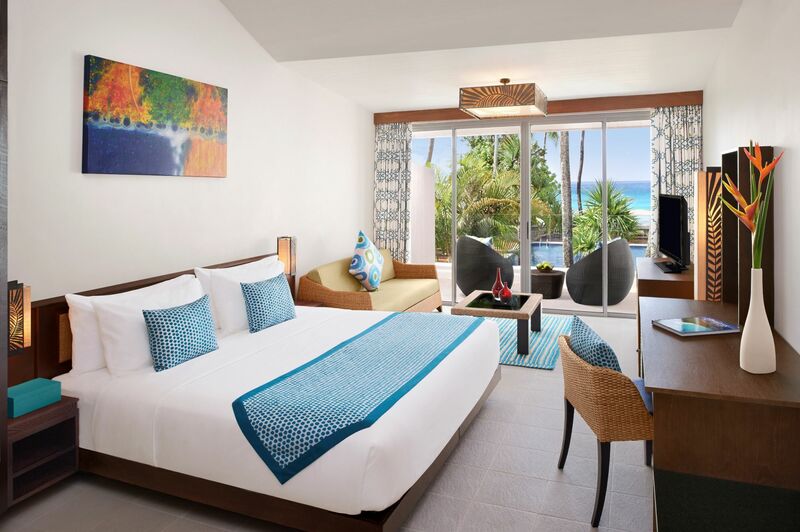 This was formerly Le Meridien hotel, something of a Seychelles legend in its heyday, but following a $14 million refurbishment the brand new AVANI Seychelles Barbarons Resort and Spa has all the elements of creating its own legendary status. This is a luxury hotel which forgoes the side effects of standing on any ceremony (its slightly more haughty Antantara sister brand takes care of that side of things) leaving you free to indulge in a laid back lifestyle perfectly suited to the surroundings in my opinion. The cavernous wooded lobby is an impressive introduction, the stunning turquoise Indian Ocean tantalisingly stretching out at one end, a terrible distraction as I check in. Still, the cool towel and ice Popsicle whilst nowhere near a worthy substitute, is nevertheless gratefully received. Fortunately, with the guestrooms on just two levels, it’s only a short stroll to our room and an even better view of that ocean. Within Avani’s 124 rooms and suites there are five room types offering balconies or terraces with ocean, garden and pool views but in all honesty it’s just a short walk from any of them to get to that post card perfect stretch of empty pristine white beach. Over in Elements, the all day dining restaurant, the buffet is doing brisk business. The cool air conditioned buffet area is unique to Seychelles hotels, a clear indication of where some of the refurbishment investment ended up. There is something magical about taking your food and simply sitting next to a glorious ocean so close you can almost dip your toes in as you eat. This is a homely menu made up of western, Creole and seafood dishes although there are specialty nights for a barbecue or a Creole inspired theme. As night falls small fire torches light the way to Tamarind, AVANIs signature pan-Asian beach restaurant, where exotic aromas abound. I smell Thai, definitely Thai. But wait, here comes something else, a curry perhaps? The smell test is simply the prelude to the taste test which passes with flying colours. A glorious blend of delicious Asian dishes; an explosion of flavours and colours all served up with loving care under a starry sky. And out in front of us somewhere, the ocean is invisible in the inky blackness, but a crashing wave reminds us of an old friend, it’s always close by. 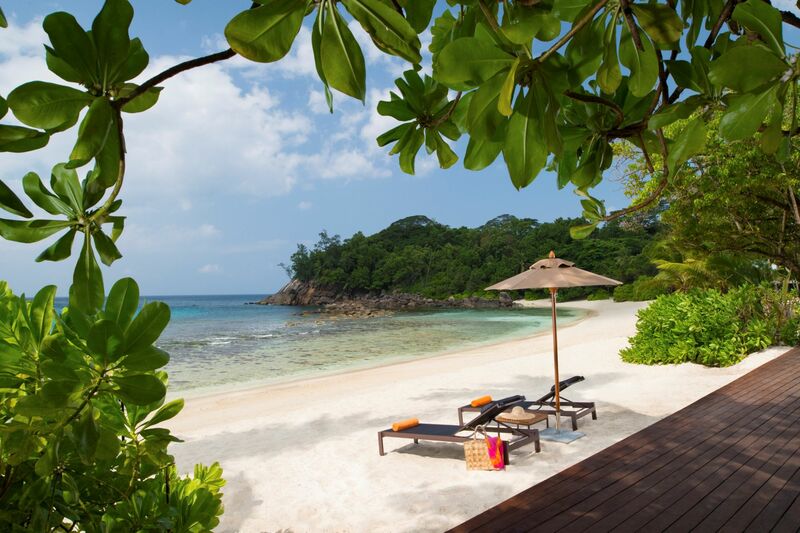 Not content with serving up the perfect tropical landscape and hospitality, the spa element of the AVANI Seychelles Barbarons Resort and Spa beckons us; the single treatment rooms passed for an indulgent double for couples. Two therapists go to work on us and we are simultaneously taken to another place; a place of pleasure and pain where knotted muscles are eased and ying and yangs balanced and restored. This is, under the manipulation of therapists with appendages like vices, something to behold and wonder. Perhaps it is simply me falling under the AVANI spell, but I swear it is one of the best treatments I can remember having. 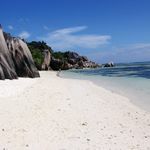 With its opening just a few weeks in, there is still an air of more to come at AVANI Seychelles Barbarons Resort and Spa. The hospitality team soft opening- emblazoned t shirts lay testimony to an outstanding work in progress from a management team led by General Manager Manish, a veteran of many Antanara openings. I can feel a real personality at work here, something often missing in large international properties and with such a stunning location to work with, the AVANI Seychelles Barbarons Resort and Spa is a veritable gem of a hotel that can only get even better as it matures. Meanwhile my romantic table for two is calling me back for dessert….. 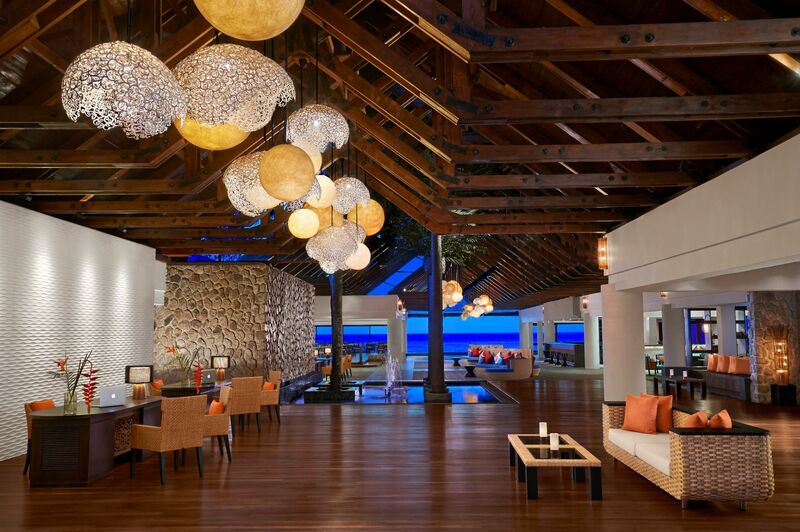 I want to stay at AVANI Seychelles Barbarons Resort & Spa, how much is it? 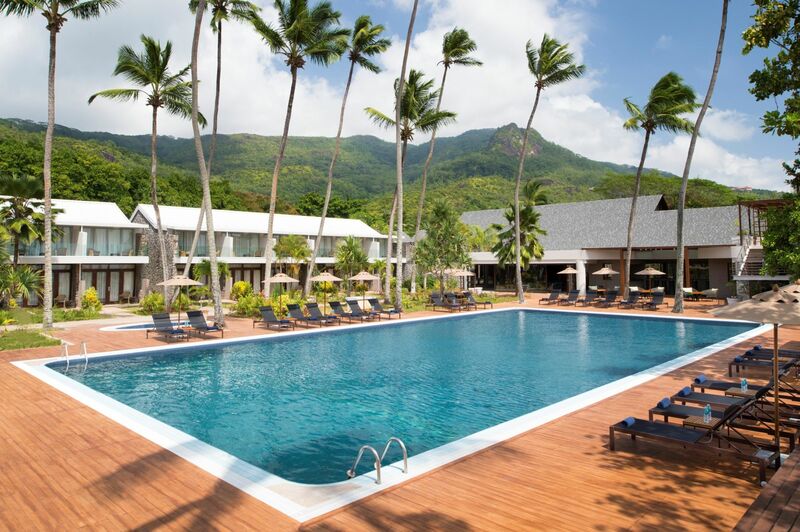 Seven nights at the 4* AVANI Seychelles Barbarons Resort & Spa, staying on a B&B basis costs from £1,199 per person including flights with Kenya Airlines from London Heathrow. 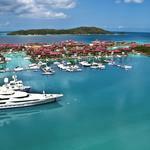 This is including one free night and is a saving of £490 per couple. Book by 30 April, for travel in June. 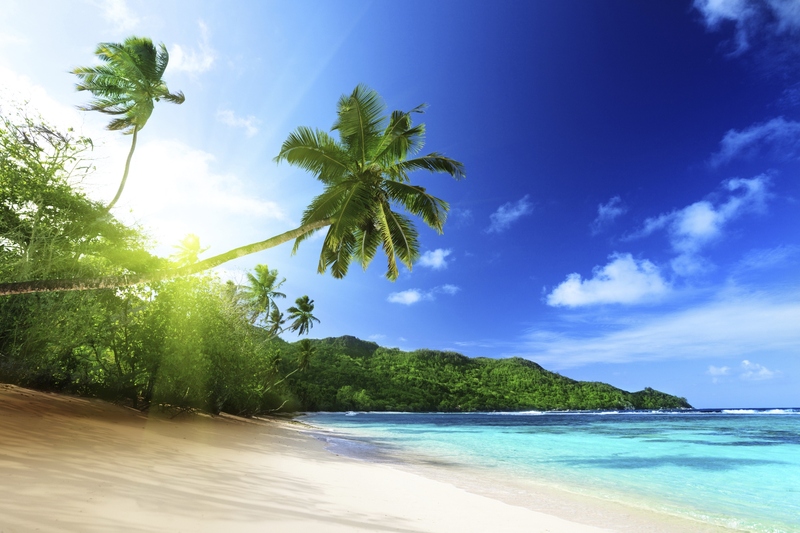 0845 543 6615, available through travelbag.co.uk Travelbag has been creating holidays for over 35 years and have established themselves as a leader in the tailor-made holiday market.